Chef Put Apple Slices One By One. Description: Chef put apple slices one by one. 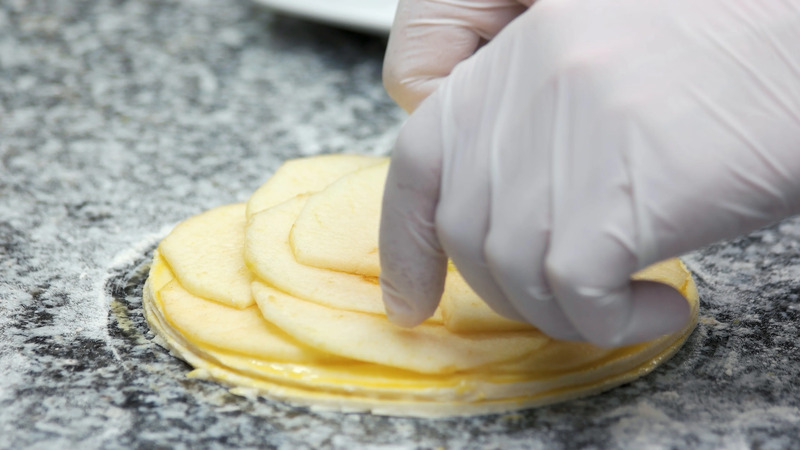 Close up chef hands making apple tart layers.